Vendakka mezhukkupuratti is an easy to make and tasty side dish for rice. This can be served with rice and any curry of your choice. 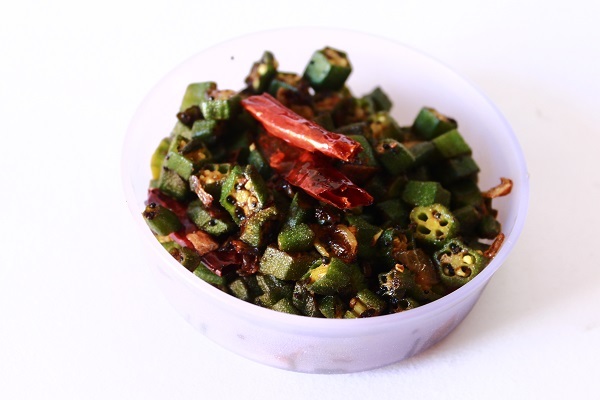 It is very easy to prepare and requires very few ingredients mainly, okra, onion, green chilli. Now to the recipe..
1. Wash okra, pat them dry and chop them into pieces. 2. 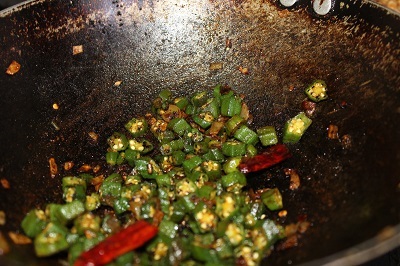 Heat oil in a pan, add okra pieces and fry them till the slimness goes off. Transfer it to a plate and keep it aside. 3. In the same pan, heat oil, splutter mustard seeds. 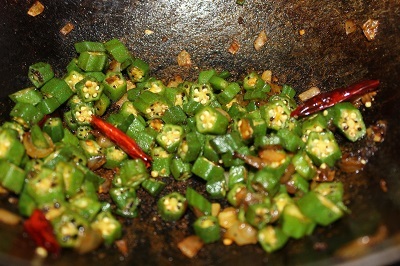 Once mustard seeds splutter, add chopped onion, curry leaves and green chilli. 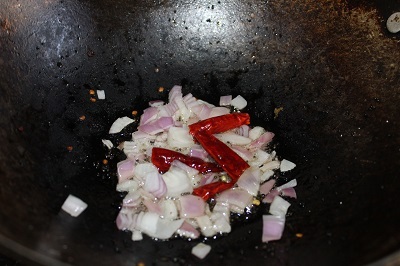 Saute onions till they become brownish in color. 4. Now add roasted okra pieces. Add turmeric powder and red chilly powder, salt and cook for 3 -4 minutes without covering the pan. 5. Serve hot with rice and sambar.